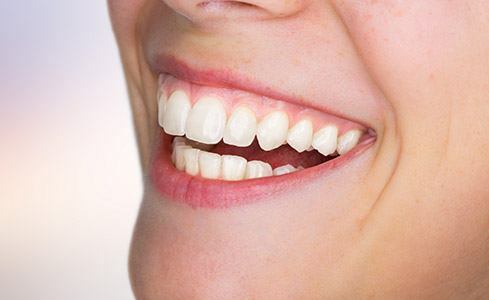 Many people wish they could improve the appearance of their smile, and for good reason – studies have shown that adults with white, straight teeth are perceived by their peers as younger, more successful, more confident, and more attractive, among other positive attributes. Sadly, even healthy smiles can suffer from the effects of certain foods, injuries, and aging. If you’re struggling with chips, cracks, gaps, or other flaws, please turn to Dr. Ishwinder Saran and his team here at LIC Dental Associates. 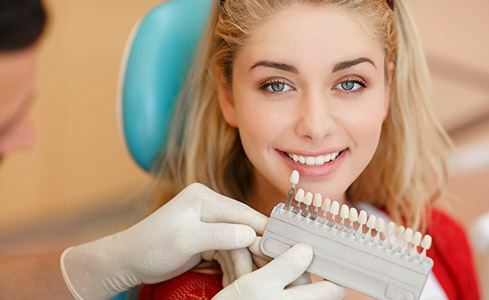 Our Long Island City dental office offers a variety of cosmetic dentistry services that promise exceptional quality and seamless results you’ll be dazzled by. 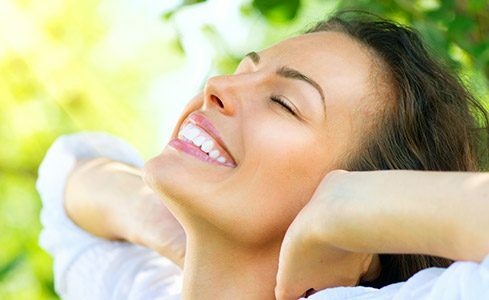 Why Choose LIC Dental Associates for Cosmetic Dentistry? If you’re feeling frustrated and overwhelmed by your current smile’s imperfections, porcelain veneers are an excellent way to start fresh! These highly customized and beautiful restorations are designed to be extremely thin – thin enough that they can be placed over the front surfaces of requested teeth with no one being the wiser. All at once, years of flaws can be seamlessly covered by a brand-new appearance that shines confidently throughout everyday life. At LIC Dental Associates, our patients don’t have to choose between rebuilding damaged and hurting teeth with dark-colored restorative solutions or preserving their natural smile. Our metal-free materials truly make up the best of both worlds here in Long Island City. Your brand-new crown, inlay, or onlay can be crafted from the ideal shade of high-quality dental ceramic, allowing it to virtually disappear alongside natural teeth – this style of restoration is so lifelike that it even reflects light in the same way as original tooth enamel. It’s also extremely durable and 100% biocompatible for outstanding comfort and safety. If speed is a top priority for patients seeking cosmetic improvements, direct bonding is an excellent option. 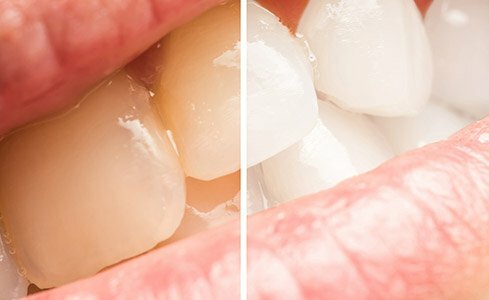 The procedure is simple and only takes one appointment in most cases – Dr. Saran or one of our other talented dentists will apply tooth-colored composite resin and sculpt it into a subtle, pleasing addition to your smile, correcting minor gaps, chips, cracks, misalignments, or other likeminded concerns. Once hardened into place with a curing light, the improvements should last for several years with the help of diligent oral hygiene and regular professional checkups. 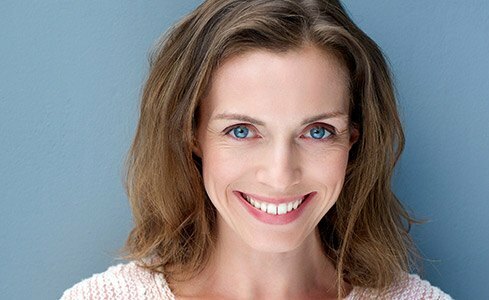 At LIC Dental Associates, we understand how frustrating it can be when your dulled, stained, or yellowed smile doesn’t reflect the brilliance each patient has on the inside. Thankfully, our professional teeth whitening solutions can create dramatically beautiful improvements! In-office whitening offers fast results in record time – just one session in the treatment chair. Alternatively, our take-home kits allow patients to whiten on their own schedule and from the comfort of home. We’ll be happy to help you determine which service fits your goals and preferences best during a cosmetic consultation. Do you feel that your smile looks too short, uneven, or “gummy?” Aesthetic gum recontouring may be the right path forward to improved self-confidence! Our dentists will use a state-of-the-art soft tissue laser to carefully sculpt the natural gum line into a more pleasing and attractive shape, eliminating excess tissue where needed to reveal unnecessarily hidden dental structure. This procedure can also have significant restorative benefits – for instance, we may recommend it if the patient needs a new dental crown and the tooth is too covered by gum tissue to successfully place one.